Tuji, A. (2004) Type examination of the ribbon-forming Fragilaria capucina complex described by Christian Gottfried Ehrenberg In: Poulin, M. (ed. ), Proceedings of the Seventeenth International Diatom Symposium. Ottawa, Canada, 25th-31st August 2002, Biopress Limited, Bristol, pp. 411-422. Tuji, A. (2007) Type examination of Fragilaria gracilis Østrup (Bacillariophyceae). Bulletin of the national museum of nature and science, Series B, Botany 33: 9-12. Tuji, A. and Williams, D.M. (2006) Examination of the type material of Synedra rumpens-Fragilaria rumpens, Bacillariophyceae. Phycological Research 54: 99-103. Tuji, A. and Williams, D.M. (2006) Examination of types in the Fragilaria pectinalis-capitellata species comples In: Likhoshway, Y. (ed.) Nineteenth International Diatom Symposium, pp. 125-139, Listvyanka Russia, Biopress Limited. Tuji, A. and Williams, D.M. 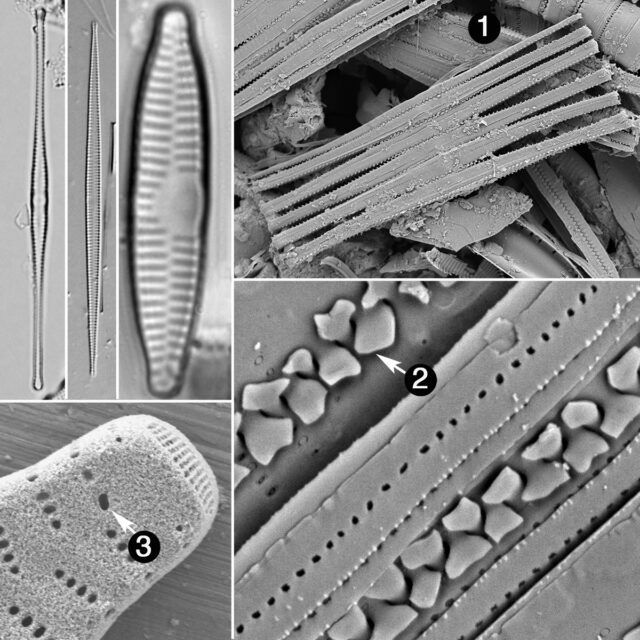 (2008) Examination of type material of Fragilaria mesolepta Rabenhorst and two similar, but distinct, taxa Diatom Research, 23(2): 503-510. Tuji, A. and Williams, D.M. (2013) Examination of types in the Fragilaria vaucheriae-intermedia species complex. Bulletin of the national museum of nature and science Series B, Botany, 39: 1-9.